nice boxes – pasta makes you fat? Love it! Simple and effective! Wow, very interesting packaging design. SOLD! I am buying this one. Great concept! I love the package that showcase the product. Nice!!!! 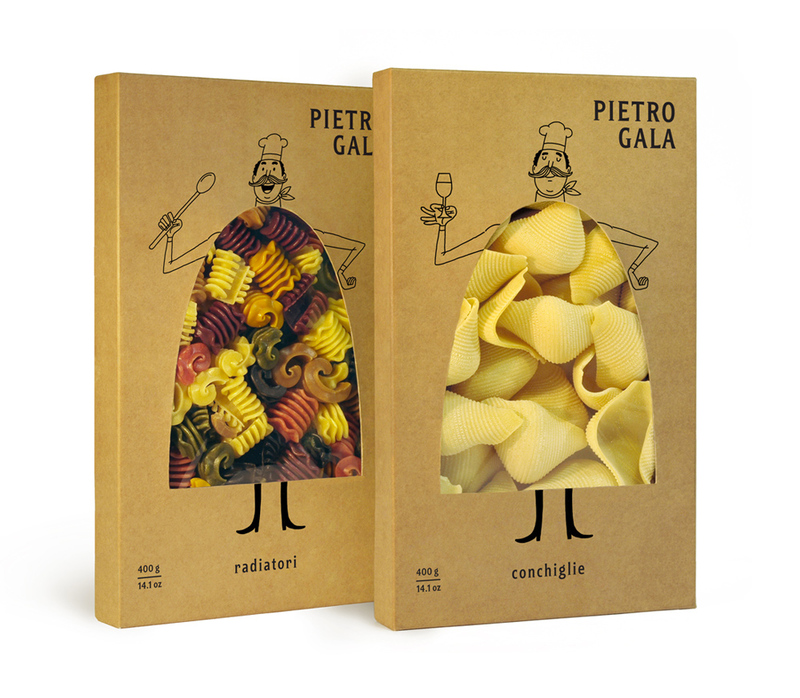 I love the idea of using the chief shape to show the pasta!! Also, the sketch stresses the significance of handmade product, recipe etc.